Sophie was born in 1990 in Lincolnshire and was brought up on the family farm with mum Nicola, dad Mervyn and younger brother Luke. Sophie was born with Amniotic Band Syndrome, a congenital disorder caused by entrapment of fetal parts (usually a limb or digits) in fibrous amniotic bands while in the womb. In Sophie's case, the band wrapped around her fingers and legs, causing loss or partial loss of fingers on both hands. The plastic surgeons managed to move the amniotic bands around her legs therefore saving her feet, however deep scarring caused loss of sensation and feeling below the scars, and the constriction caused nerve problems as Sophie grew. This is managed with weekly treatment and daily medication. Sophie was always given the same opportunities as her brother when growing up, playing musical instruments and trying sports. She showed her stubborn streak and determination very young when trying to find her own way of playing the instruments, even though it might not have been conventional. Horses came into her life when Sophie sat on a pony at a friend’s birthday party and soon she was attending her local riding school. Despite being very allergic, Sophie loved the horses and the connection you build with each one. 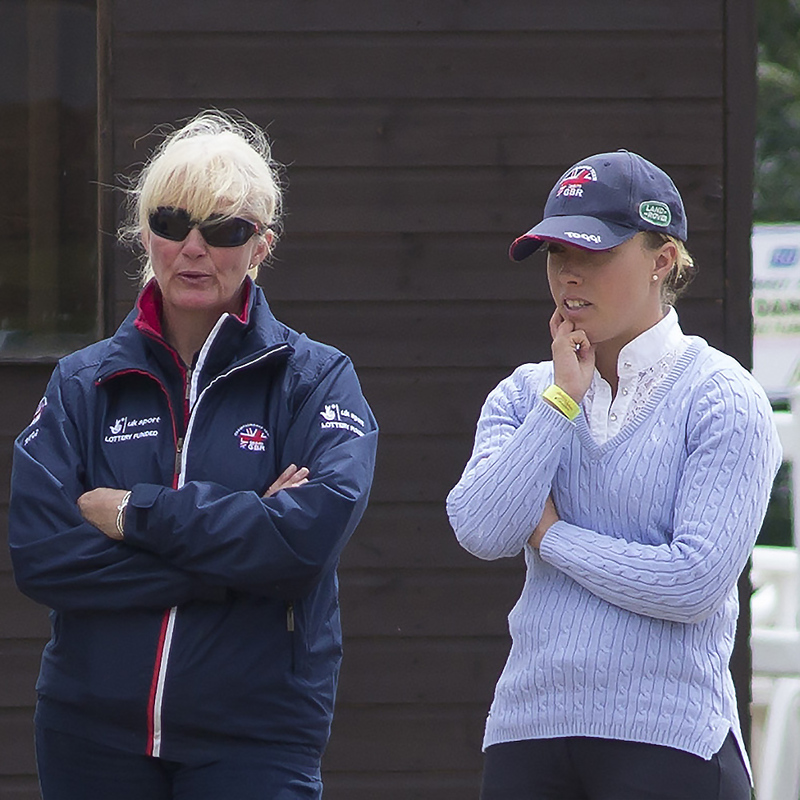 2001 saw the start of training with Vicki Thompson Winfield, who ran regular clinics in Lincolnshire. As a 10/11 year old Sophie saw Vicki as an idol for her beautiful riding and still does to this day. Vicki gave Sophie a solid foundation of knowledge and skill in her very early stage of development. It was during this time that Sophie was introduced to Harry Dabbs, who sponsored Vicki at the time, and he developed some ‘looped’ reins, enabling her to keep a consistent contact with the horse and really making riding possible, without the previous struggles. Vicki's clinics in Lincolnshire ended in 2004, so Sophie started training with Tracey Woodhead. Tracey continued to develop Sophie, who appreciates how much her expert trainers, at a young age, influenced and started to shape her career. At the end of 2004 Sophie met Angela Weiss through Vanessa Knight, who was also on the World Class programme, and for the next year Sophie trained with both Angela and Tracey. Angela was then made coach to the World Class Start & Potential programme in 2005 and the relationship continued to build from there. Golden Hat Trick with Pinocchio! In 2008 Sophie was reserve for the Beijing Paralympic Games with Touchdown M, although huge disappointment followed when Touchdown was called up and was lame, later being diagnosed with a tumour in his foot. This distressing time was, however, to lead to the partnership with Pinocchio, who went on to be Sophie’s wonder horse. Together they went to their first championships in 2009 - the Europeans - winning three gold medals, the first golds a British rider had ever won at grade V (then grade IV). They went on to win more European golds as well as gold medals at the World Championships 2010 and London Paralympic Games 2012. 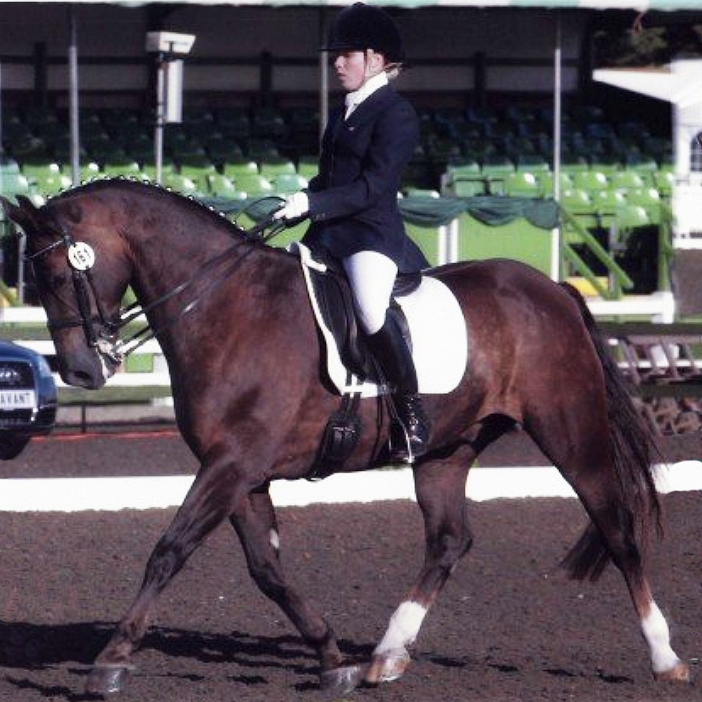 They even became the first para rider to compete on an able-bodied championship team at the Young Rider Europeans 2010 and 2011, fulfilling so many dreams together, including competing at Grand Prix (below left). Further dreams were fulfilled when Sophie and Valerius (Reece) won the Individual gold medal at the Rio Paralympics (above centre), and not to be outdone, C Fatal Attraction (Jorge) was Prix St George winter champion in able-bodied competition at Hartpury 2017 followed by two gold medals and a silver at the European championships 2017 (above right). 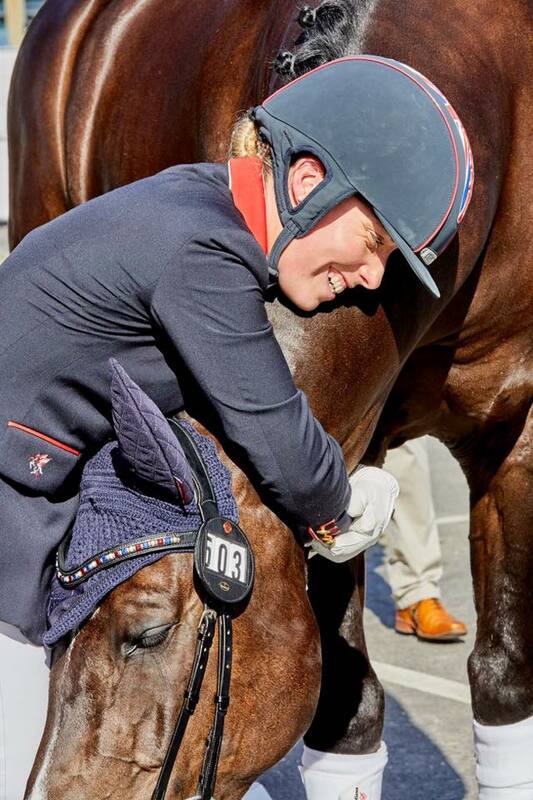 Sophie is also making a name for herself as a coach, with Touchdown (recovered from his tumour) and Pinocchio now ridden successfully by her student Izzy Palmer, and student Natasha Adkinson being selected for the Para European championships 2017. After six years based with Angela, and having learned so much under her guidance, Sophie is now based at home, building her own team around her to give the horses everything they need. Sophie divides her time by training her horses in the morning then spending the rest of the day coaching both able-bodied and para clients of all ages and walks of life, helping them to get the most out of their horses in the sport she is so passionate about.